Fremont, CA – May 18, 2012 – Jason McDonald, a leading SEO / Social Media consultant in the San Francisco Bay Area, is proud to announce enrollment for his latest Internet Marketing Course taught in person at Stanford University in Palo Alto, California: Marketing without Money: SEO and Social Media. This hands-on course begins June 25th and lasts for 5 weeks. It teaches the marketing manager or small business owner the secrets of marketing without money — think of it as "creating buzz without bucks." For entrepreneurs or marketing managers, there are strategies to build awareness, programs to generate trial, and activities to involve early users in the building of your business—all with little or no cost. "Stanford Continuing Studies has an amazing program for busy San Francisco Bay Area executives, marketers, and entrepreneurs," explained Dr. McDonald. "This will be my third session teaching, Marketing without Money at Stanford, focusing on Internet Marketing, SEO, and Social Media Marketing not just for the Palo Alto / Stanford Community but for many others in the Silicon Valley / San Jose Startup Community. The course looks at Internet Marketing very broadly rooted in SEO (Search Engine Optimization) and Social Media Marketing (Facebook, Google+, Twitter, LinkedIn, etc.). It focuses on the needs of small business entrepreneurs who seek to market without a lot of cash!" I love Dummies! Many of the Dummies books are my favorites because I teach (and do) practical Internet marketing. When the Dummies are good, they are really really good. This current Dummies book is one of the very best with lots of great insights into Facebook marketing, plus many wonderful details. There are a few things it leaves out, but overall this is the No. 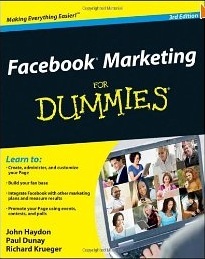 1 book on Facebook marketing. Buy it! Here is my book review. First, the great. What is great about this book? Facebook Marketing for Dummies gives you the big picture. Why do you want a Facebook account? Who are your customers? Why do they want to ‘like’ you on Facebook? These major questions get to the heart of social media marketing: it is a conversation, a relationship. It’s not just about you TALKING it’s about your fans LISTENING. It’s not just about you and your fans TALKING, it’s about your FANS talking to other FANS. Social media is very conversational, very relationship-oriented, and Facebook for Dummies begins at the beginning: why do your customers WANT to listen to you on Facebook? Next, the book proceeds to give you all the basics (what is a page vs. what is a profile, what is a group and all that jazz) plus wonderful technical insights. For instance, it explains how to use the Facebook Ad Tool to get at Facebook demographics (what a great idea!). And it explains how Facebook’s Edgerank is an algorithm that decides how your updates will appear in your fans’ news feeds. So at the level of GREAT, this book is an encyclopedic overview of Facebook at all levels: high, medium, and low. Facebook Marketing for Dummies does a good, but not great, job of identifying helpful resources on the Internet for more information. Throughout the book, it peppers and salts you with pointers to cool online resources such as free and low-cost services that will help you create Facebook tabs, or services that will manage coupons for Facebook. My criticism here is that there is no organized list of all the resources, no pointers to the Internet where you can find all sorts of free resources for your Facebook marketing. On my wish list for 2012 is that book authors start to think of books as ‘platforms’ or ‘starting points’ to the Web, and build into each paper book a ‘Web strategy’ so that readers can easily follow along online, and get access to more Internet information. This should be obvious to the Dummies editors, but they don’t do a good job of making this easy for you. Book Page – Facebook for Dummies – PDF’s, Downloads, Goodies (not much there, sadly). I wish that the new, 2012, book had a clear and concise page on the Internet, but I can’t find it! Finally, here is my one criticism of the book. Like most books, it focuses very narrowly at the topic on hand: Facebook Marketing. It neglects to situate Facebook as part of a ‘concentric circle’ view of marketing: your social media marketing (Facebook vs. LinkedIn vs. Twitter vs. Google+), your Internet marketing (Social Media marketing vs. SEO vs. AdWords) and your total marketing (Your Internet Marketing vs. all other types). I would not recommend that a company plunge into Facebook marketing without having first thought through its entire marketing and Internet marketing strategy. Facebook isn’t for everyone; many companies (most companies) will do better with SEO, first, before moving on to Social Media. But, all in all, this is a fantastic book and well worth the investment! 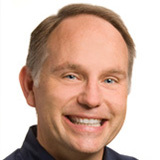 Fremont, CA – May 2, 2012 – Jason McDonald, a leading SEO / Social Media consultant in the San Francisco Bay Area, is proud to announce his latest Internet Marketing Course taught in person at Stanford University in Palo Alto, California: Marketing without Money: SEO and Social Media” . This hands-on course will teach the marketing manager or small business owner the secrets of marketing without money — think of it as "creating buzz without bucks." For entrepreneurs or marketing managers, there are strategies to build awareness, programs to generate trial, and activities to involve early users in the building of your business—all with little or no cost. "Stanford has an amazing program for busy San Francisco Bay Area executives, marketers, and entrepreneurs," explained Dr. McDonald. "This will be my third session teaching, Marketing without Money at Stanford, focusing on Internet Marketing, SEO, and Social Media Marketing not just for the Palo Alto / Stanford Community but for many others in the Silicon Valley / San Jose Startup Community. The course looks at Internet Marketing very broadly rooted in SEO (Search Engine Optimization) and Social Media Marketing (Facebook, Google+, Twitter, LinkedIn, etc.). It focuses on the needs of small business entrepreneurs who seek to market without a lot of cash!"